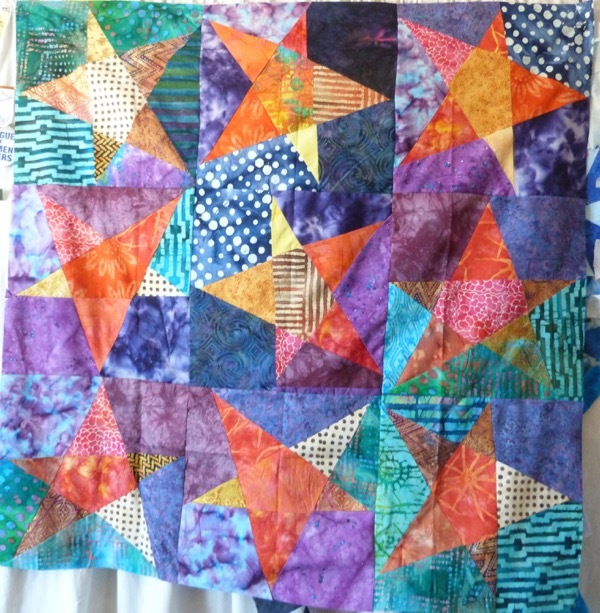 These are more of the wonky star block that I love making. I love the jive of the colors, and even some that when they come together I think I don’t like, they grow on me after a while. I finished the tops in November. There was a trip to Venice, Slovenia, Montenegro, Croatia and Greece, and then Christmas, and then finally I got three of them quilted and bound, one is still on the sewing machine. To you, they may all look the same, but to me, usually one color dominates. 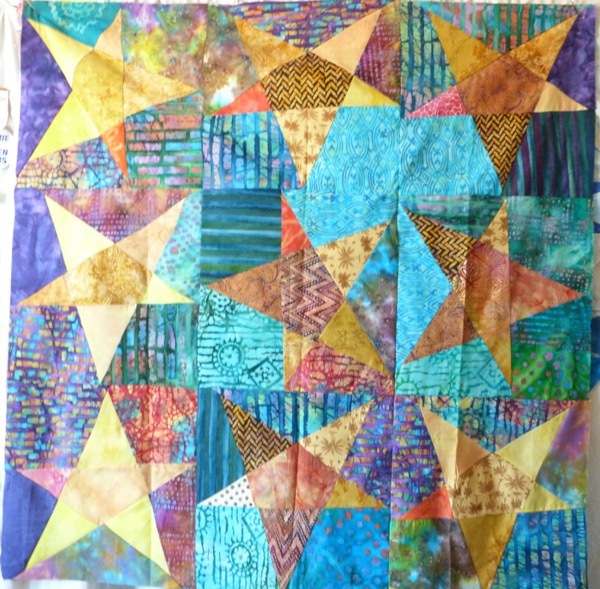 I have a lot of fun practicing quilting skills, when I can find enough time in one chunk to quilt. 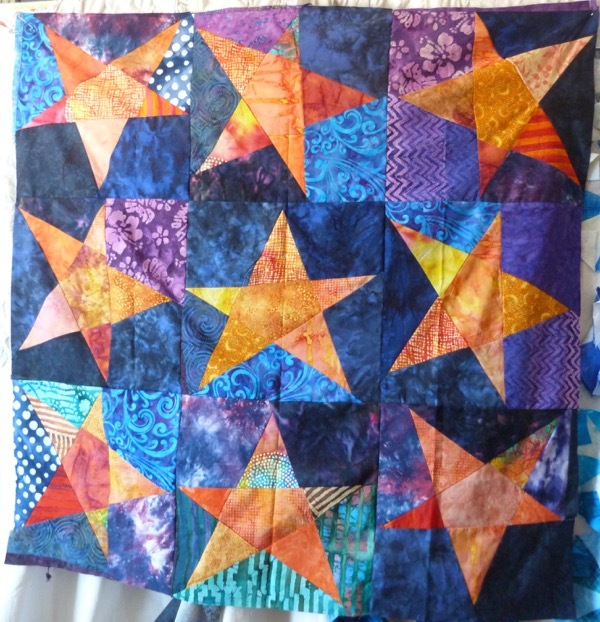 Meanwhile, I have all the reciprocals – dark stars with light backgrounds – to piece and assemble for the next batch. I have a friend who is struggling with a grave enemy, cancer, and it seems it will take a while to battle, more than a year. I think I will make him one of these to cheer him on. 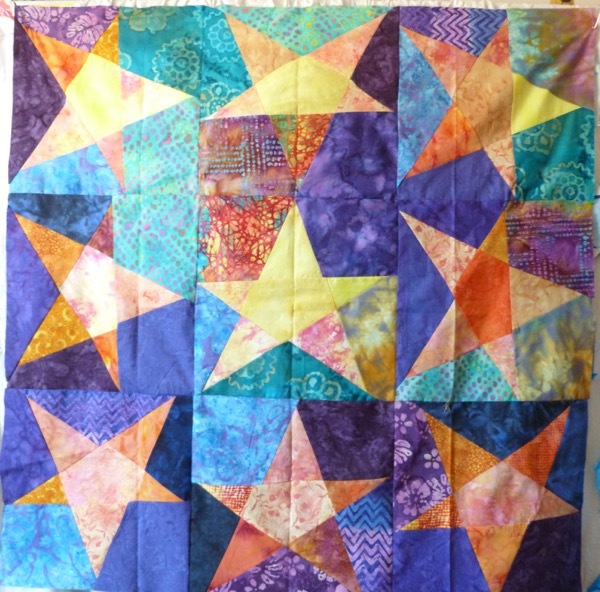 This entry was posted in 2017, Charity Quilts, Fabric selection, Machine pieced, Machine quilting, Pensacola, Sloppy Star, Stack and slash.